Best cheap ereader - welcome! 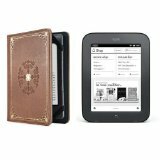 I will help you find the best cheap ereader, accessories and other important details about all ereaders. This best cheap ereader, a Kindle Fire 7, replaced my Nook which lasted five wonderful years. It was a tablet that could browse online, get onto Facebook, and download my Kindle library although it wasn’t a Kindle. And I love reading books! I also could borrow library books with it, which I highly appreciated. I had no more book shelf space for those new best sellers/best authors in huge hard covers. I have a few collections, but alas, or — yay! Those best sellers are now being collected digitally. I want to read them all over again on the Kindle! I had no idea how wonderful this first digital reader would be when I first got it. I had to be bumped into the 21st Century by my child! At first I was kind of shocked. I had a tight budget and had stopped buying books I could get from the public library or from a thrift store. Soon I learned how to find good deals for the contents accessible to the best cheap ereaders, and how to use gift cards and credit card points to pay for ebooks. And, cheap is relative. It is whatever works for you. 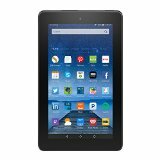 The Kindle Fire 7 was the right price for me.